August 23, 2018 — Ladies Musical Club of Seattle (LMC) will present FREE public concerts in Eastern and Western Washington to showcase the musical talents of the winners from its recent 2018 Frances Walton Competition that was held in Seattle. Competition winners, ages 20-35 from all over the world, include Xiao Chen, piano; Xenia Deviatkina-Loh, violin; Yasmina Spiegelberg, clarinet; and Hannah Leffler, flute. The international artists will present six FREE classical music concerts plus school visits in communities that have limited access to live classical music. LMC has sponsored these popular, educational state tours since 1990. 2:00 pm on Sunday, Sept. 9, 2018 at Englewood Christian Church, 511 N 44th Ave, Yakima, WA. Click for directions. 7:00 pm on Tuesday, Sept. 11, 2018 at Lake Chelan Lutheran Church, 216 W. Nixon Ave., Chelan, WA. Click for directions. 7:00 pm on Wednesday, Sept. 12, 2018 at Omak Performing Arts Center, 20 South Cedar, Omak, WA 98841. Click for directions. 2:00 pm on Sunday, Sept. 9, 2018 at Raymond Theatre, 323 Third Street, Raymond, WA. Click for directions. 7:45 pm on Sunday, Sept. 9, 2018 at Sekiu Center, 42 Rice St., Sekiu, WA. Click for directions. 7:00 pm on Thursday, Sept. 13, 2018 at Nooksack Valley High School Performing Arts Center, 3326 E. Badger Rd., Everson, WA 98247. Click for directions. 1:00 pm on Sunday, Sept. 9, 2018 at Church of the Redeemer, Kenmore, WA. Click for directions. 7:00 pm on Sunday, Sept. 9, 2018 at Bainbridge Island Museum of Art. Click for directions. 12:00 pm on Thursday, Sept. 13, 2018 at Seattle Central Library – Microsoft Auditorium. Click for directions. 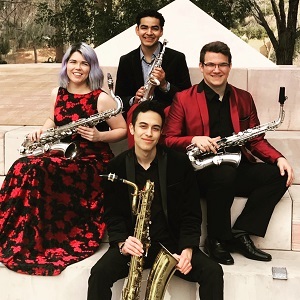 The Zelos Saxophone Quartet, winner of the ensemble division of the 2018 Frances Walton Competition will perform live and be interviewed by Sean MacLean on Northwest Focus Live on Classical KING FM, September 14 at 8pm. LMC’s mission is to foster classical music through education, performance and awards. For more information on Ladies Musical Club’s free community concerts, programs in schools and the Frances Walton Competition, visit LMC’s website at www.lmcseattle.org; “Like” Ladies Musical Club of Seattle on Facebook; and follow LMC on Instagram. Media sponsorship is provided by Classical KING FM 98.1. Below are the winners in the Ladies Musical Club of Seattle’s 2018 Frances Walton Competition. Judges for the competition were Kevin Krentz, cello (past award winner); Sean Osborn, clarinet; Patrick Roulet, marimba/percussion; and Robert Swan, piano. The annual event was held on Saturday, June 2, 2018 at Magnolia Lutheran Church in Seattle. The winners performed a fantastic free community concert at 7:30pm. Classical music tours in eastern and western Washington communities and schools featuring the winners of the 2018 Frances Walton Competition were scheduled in September 2018. Solo winners of the 2018 Frances Walton Competition Artem Kuznetsov and Soren Hamm performed in the towns of Everson, Sekiu and Raymond as part of the west leg of statewide tour. Solo winners Steven Jay Lerman and Yibing Zhang performed in Omak, Chelan and Yakima as part of the east leg of statewide tour. The Zēlos Saxophone Quartet performed during the Puget Sound Tour of the Frances Walton Competition. Dana Jackson, a native of Seattle, Washington, is a member of the Pacific Northwest Ballet Orchestra in Seattle, and the Santa Barbara Symphony. She is a freelancer up and down the West Coast and performs regularly with the Seattle Symphony. Ms. Jackson holds a BA from the University of Southern California’s Thornton School of Music, a MM from Northwestern’s Bienen School of Music, a PSC from the Colburn School. Dana received the Honorable Mention prize in the Gillet-Fox bassoon competition at the International Double Reed Society convention. She is also an artistic director for the Archipelago Collective, a San Juan Island chamber music festival. In 2016, Dana was a winner of the Frances Walton Competition, the first bassoonist in its history. She was a guest of NW Focus host, Sean McLean in May of 2017. Aaron Conitz, violist, is a dynamic performer and thoughtful musician. 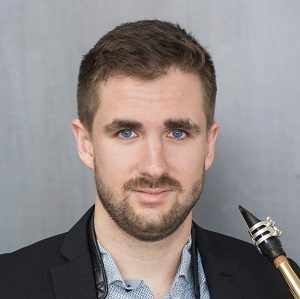 He has appeared as a featured soloist with the Aspen Contemporary Ensemble and the National Repertory Orchestra, and as a collaborative artist in the Archipelago Collective (San Jaun Island, WA), Aspen Art Museum Summer Series, Arts Renaissance Tremont, and Aspen Music Festival. Conitz has performed alongside acclaimed musicians such as Darrett Adkins, Elaine Douvas, Victoria Chiang, and Paul Kantor. 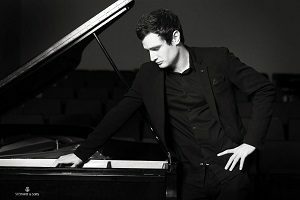 Aaron is the recipient of several awards and fellowships including the Frances Walton Competition (Ladies Musical Club of Seattle), Susan and Ford Schumann Fellowship (Aspen Contemporary Ensemble), and the prestigious New Horizons Fellowship. As an orchestral musician, Conitz has served as principal violist with the National Repertory Orchestra, appeared with the Hawai’i Symphony, Seattle Opera, Spoleto Festival Orchestra (USA), Mercury: The Orchestra Redefined, the Canton Symphony, and in over twenty concerts with the Seattle Symphony. 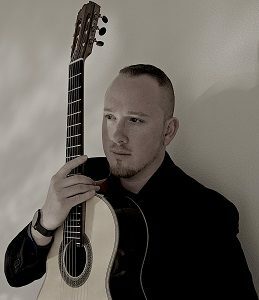 Aaron began his musical instruction at the age of four and has studied with James Dunham, Robert Vernon, Lynne Ramsey, Jeffrey Irvine, Jean Sulem, and Edward Seferian. In addition, Conitz has participated in master classes with Antoine Tamestit, Masao Kawasaki, and Steven Tenenbom. 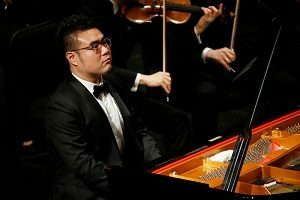 He received both Bachelor and Master of Music degrees from the Cleveland Institute of Music and is currently a Candidate for the degree Doctor of Musical Arts at Rice University.